The speed limit through a Highlands community could be reduced after lower cost ferry fares increased traffic. West Ardnamurchan Community Council has asked that the limits on Kilchoan's B8007 and Ormsaigbeg Road be cut from 40 to 30mph. The community council said road equivalent tariff (RET) had led to an increase in traffic to Kilchoan's ferry to Tobermory on Mull. Highland councillors are to consider the speed limit request on Friday. RET allows fares to be realigned with the equivalent cost of travelling by road. 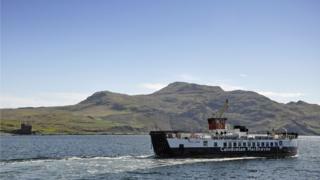 It has been applied to routes across Caledonian MacBrayne's network. Reducing the speed limits on the roads through Kilchoan will be consider by Highland Council's Lochaber committee.